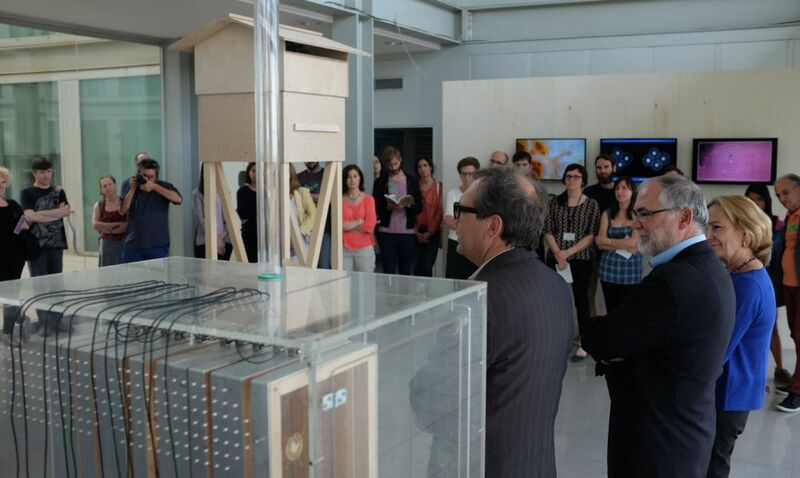 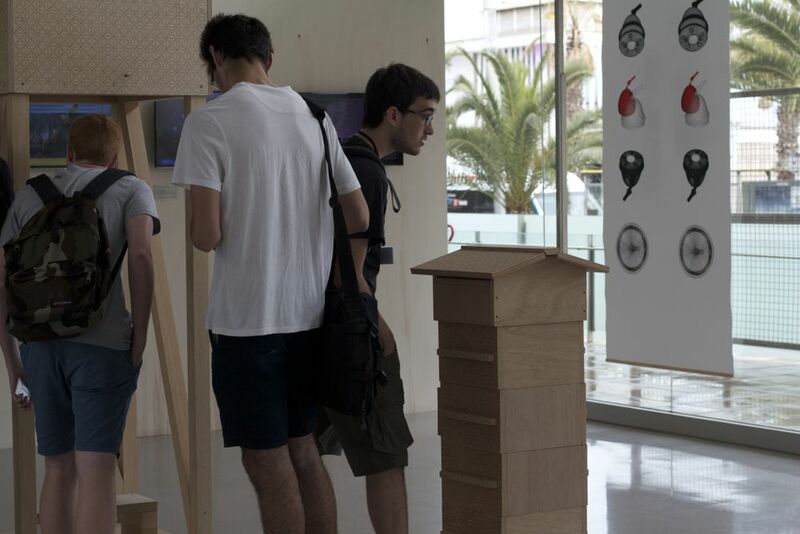 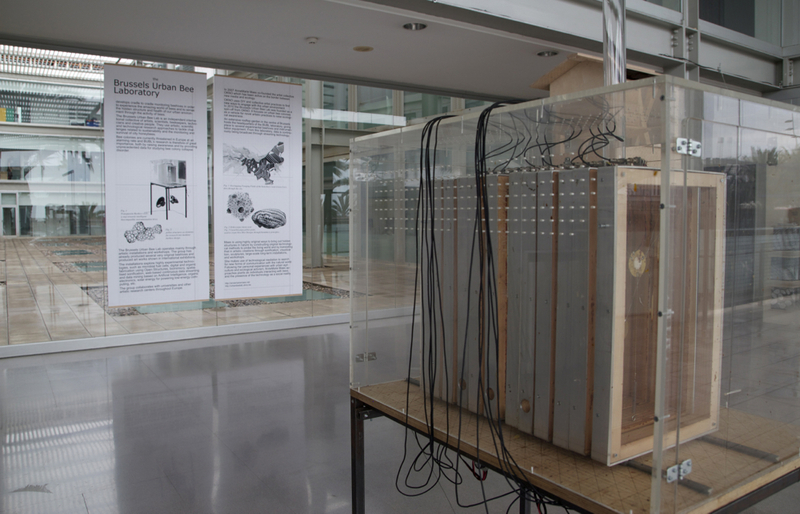 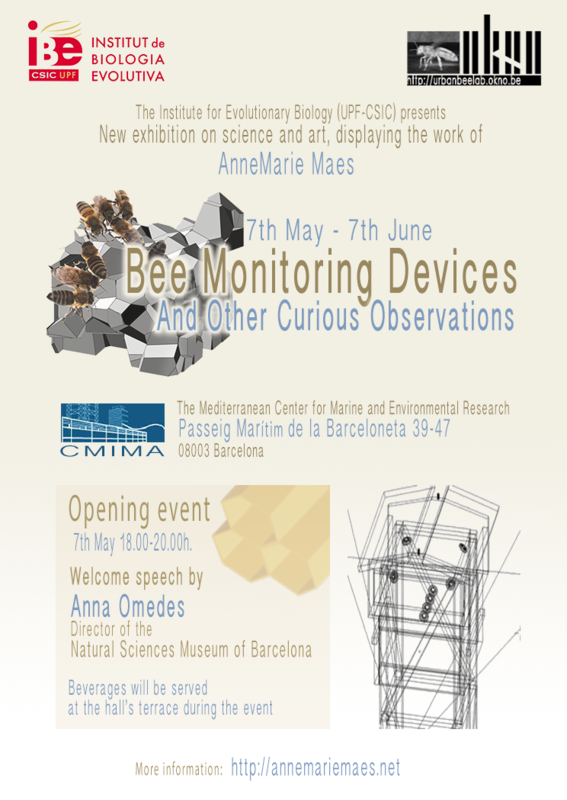 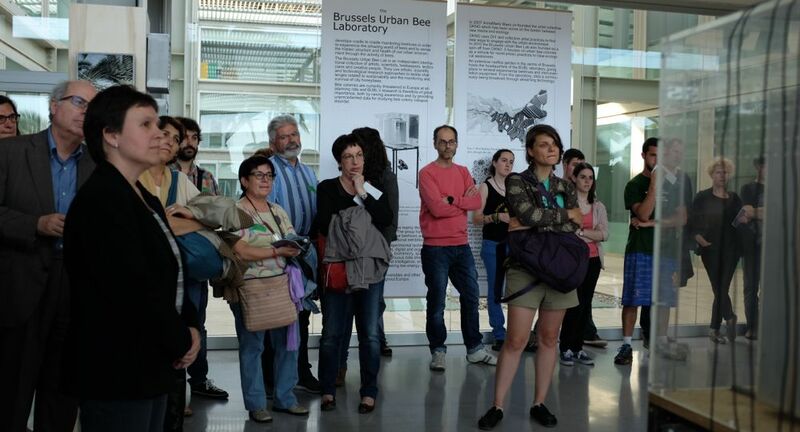 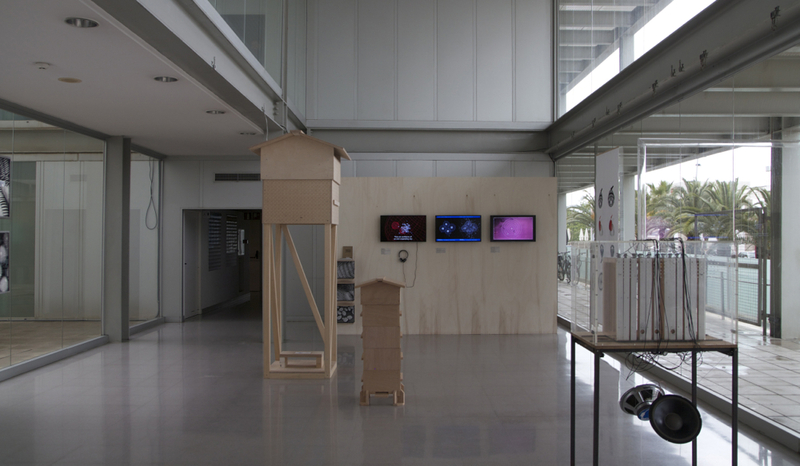 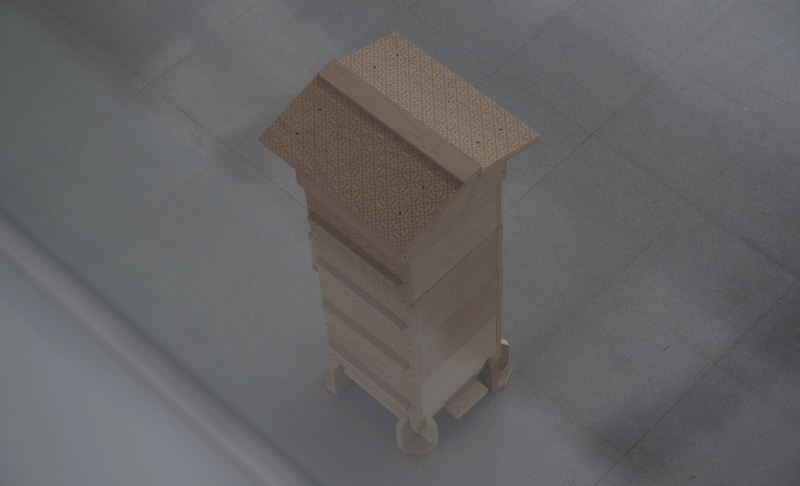 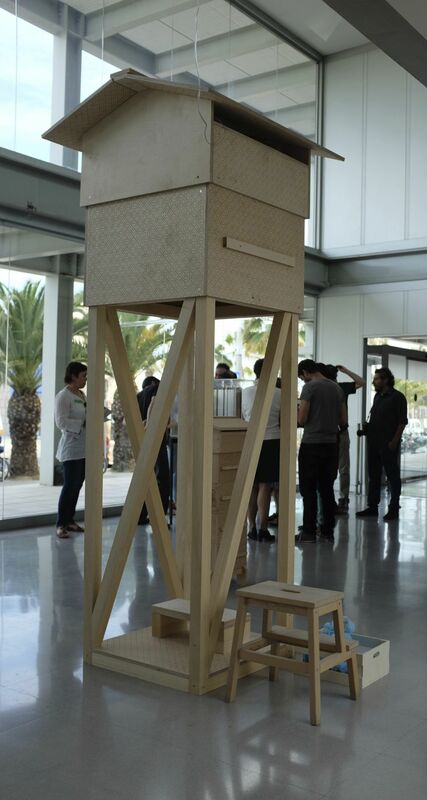 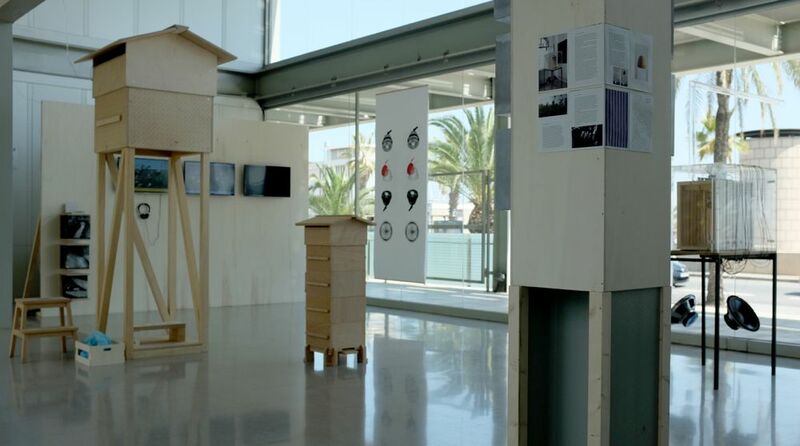 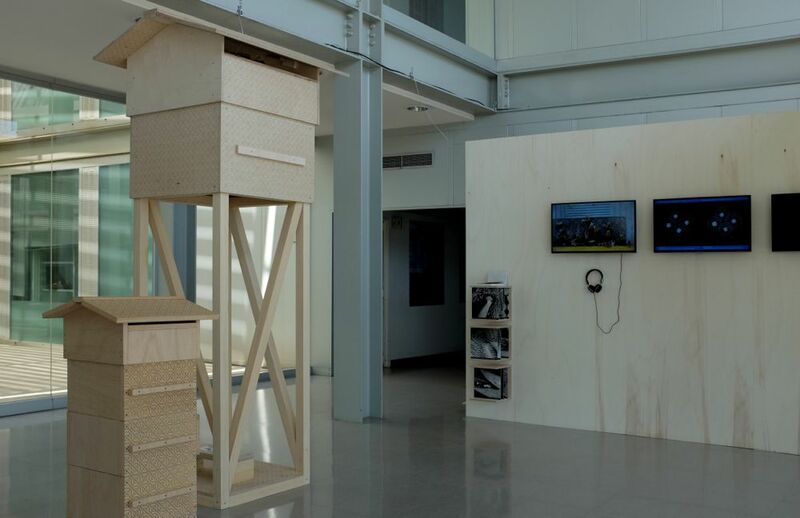 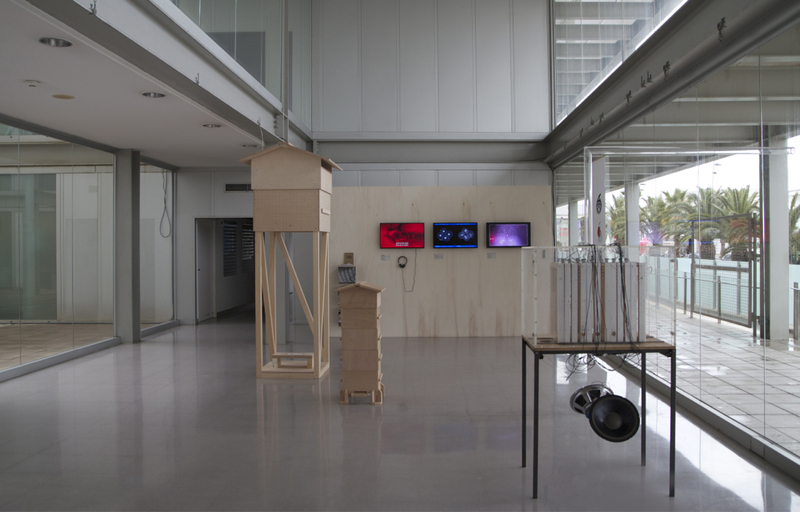 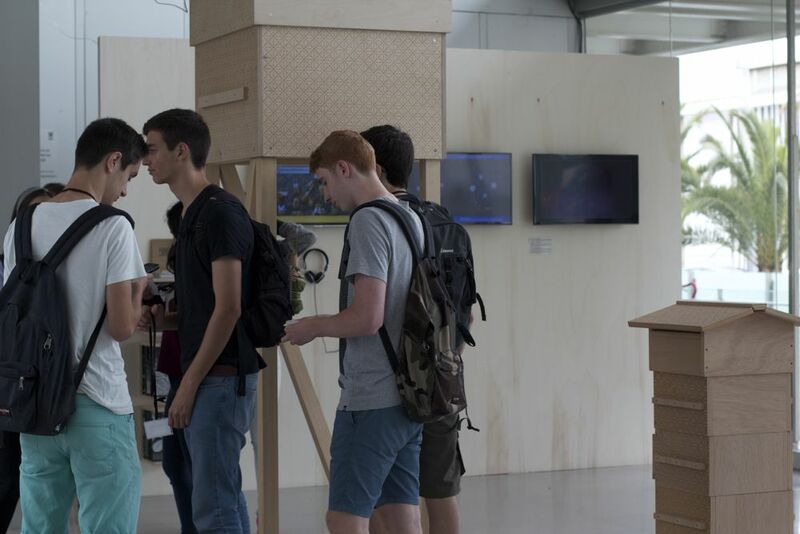 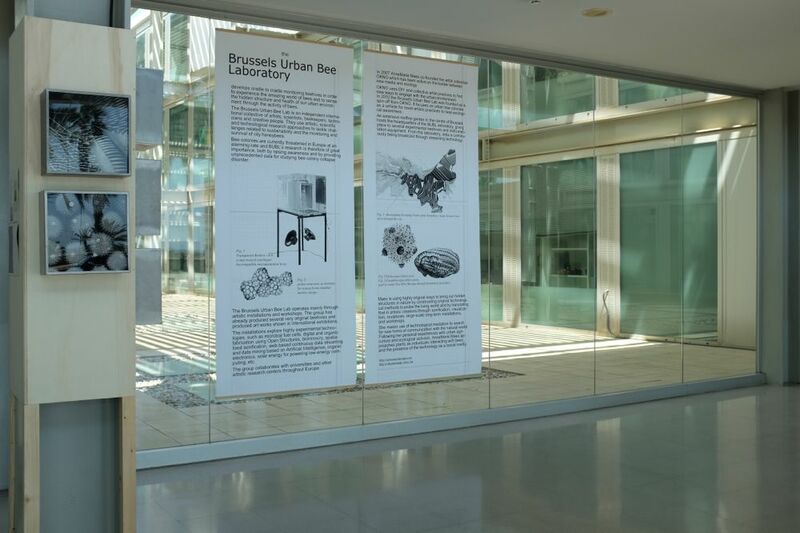 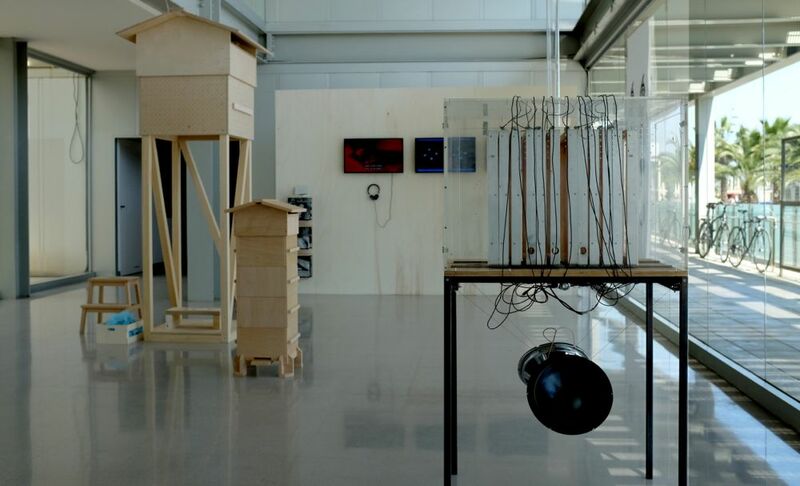 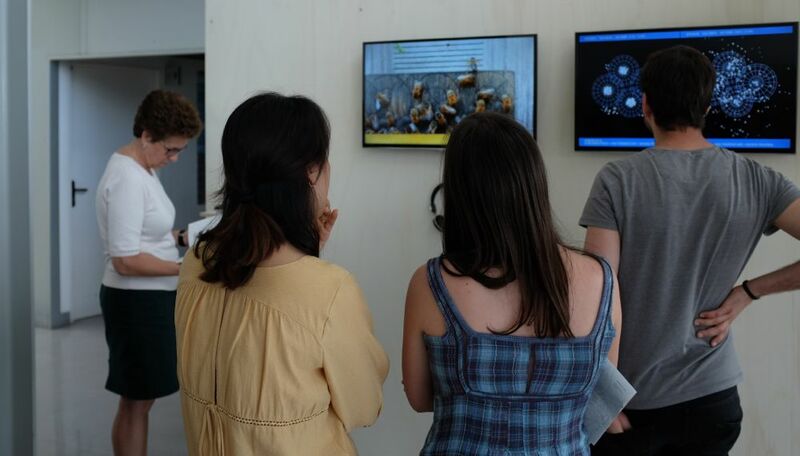 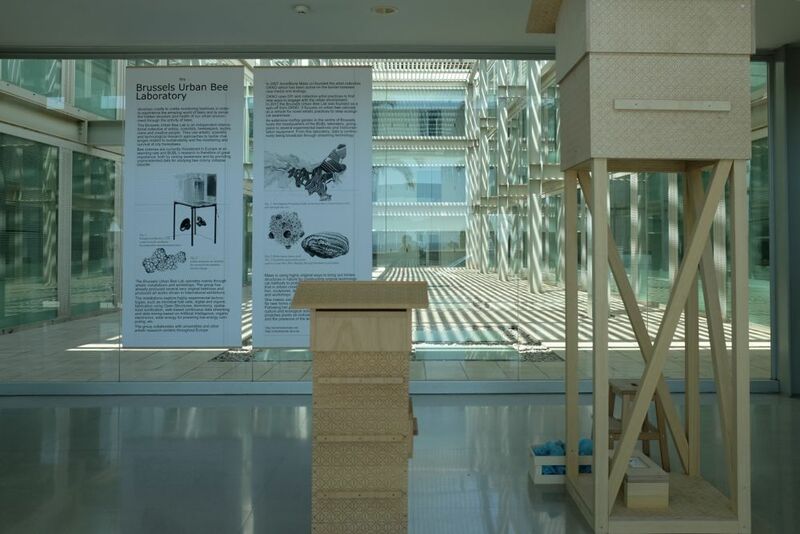 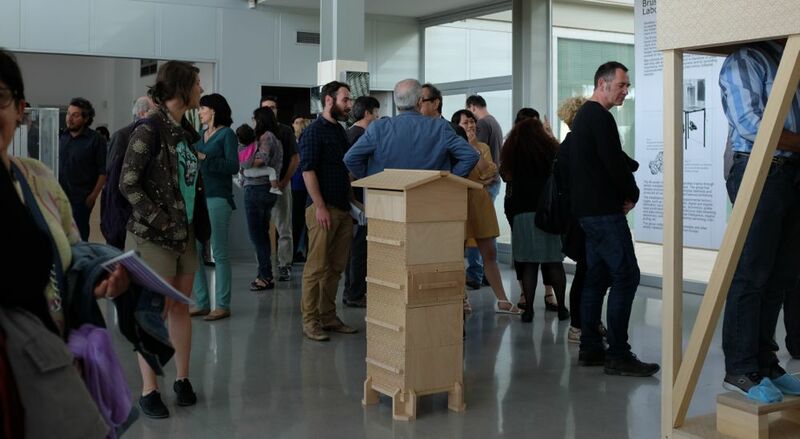 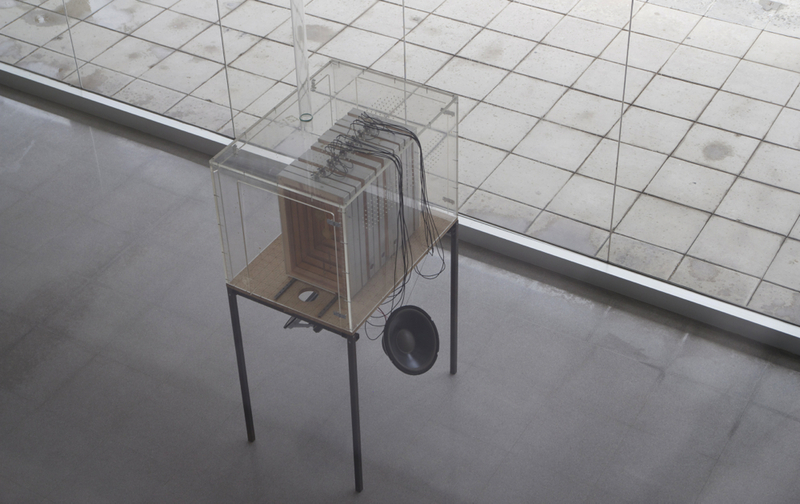 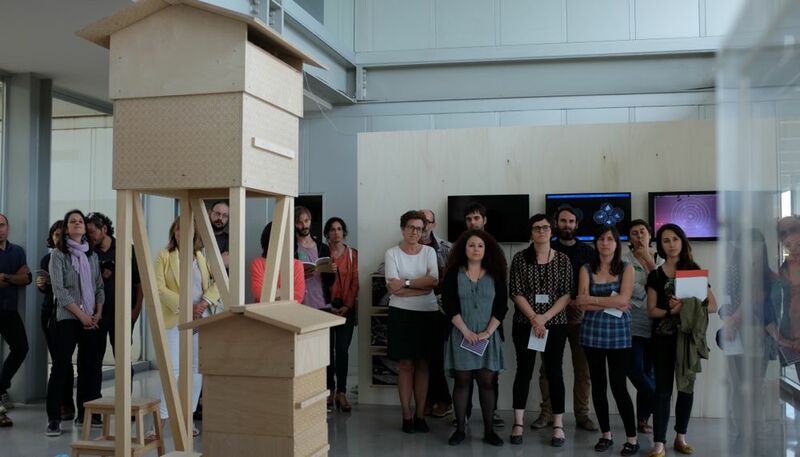 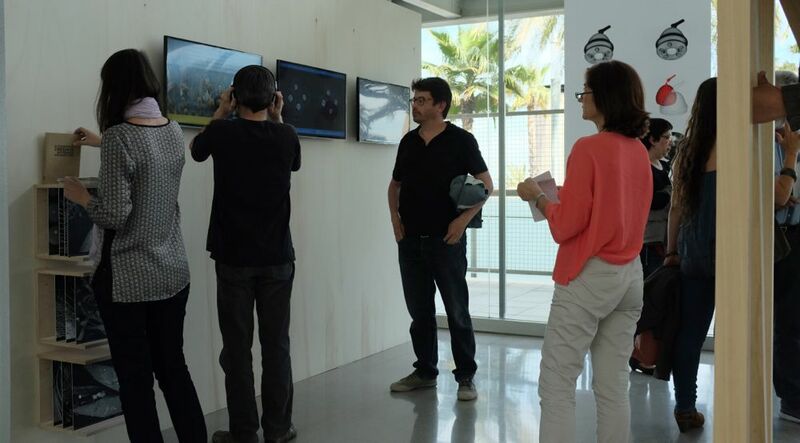 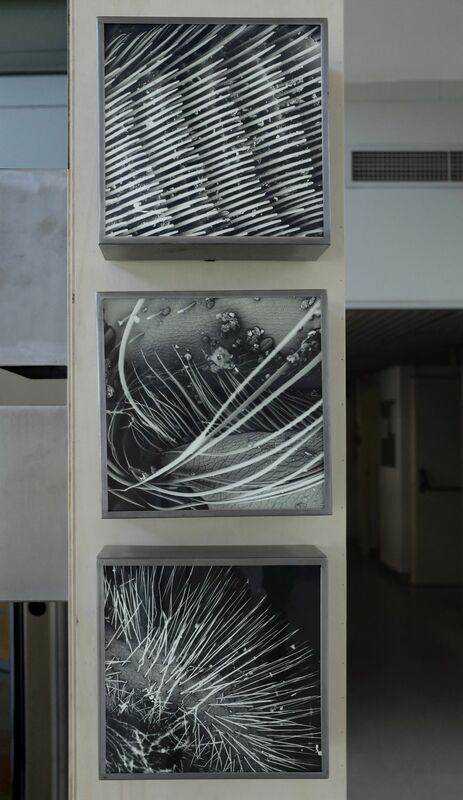 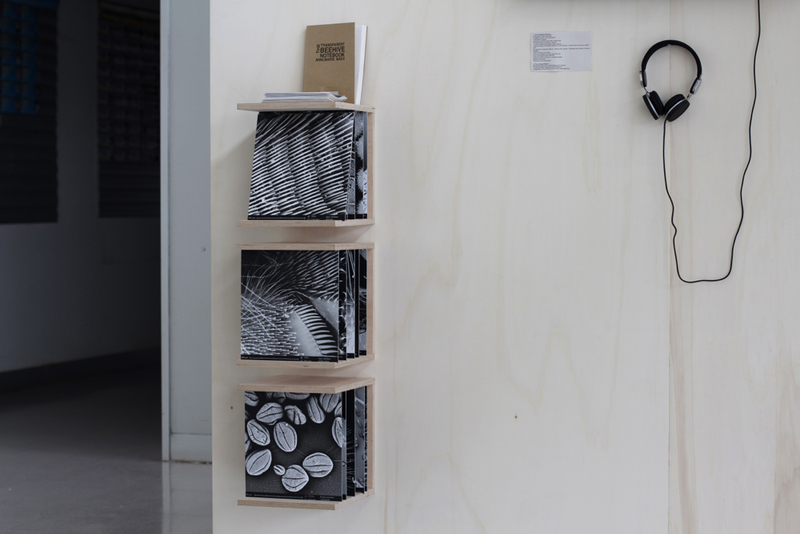 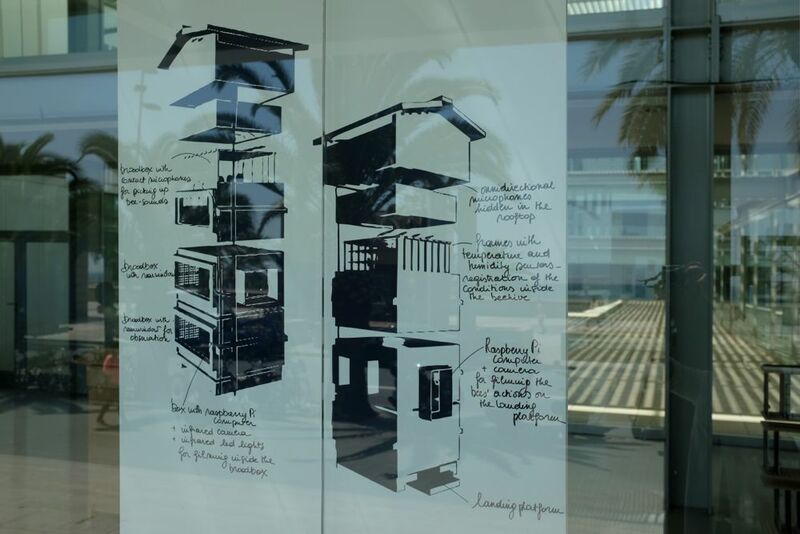 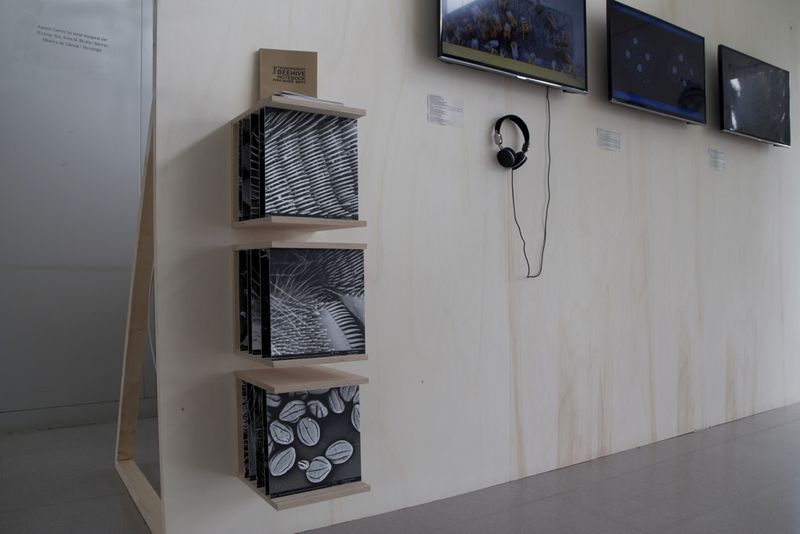 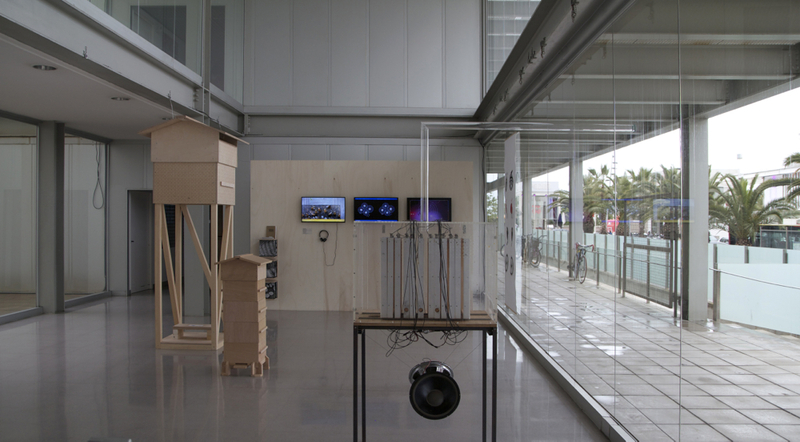 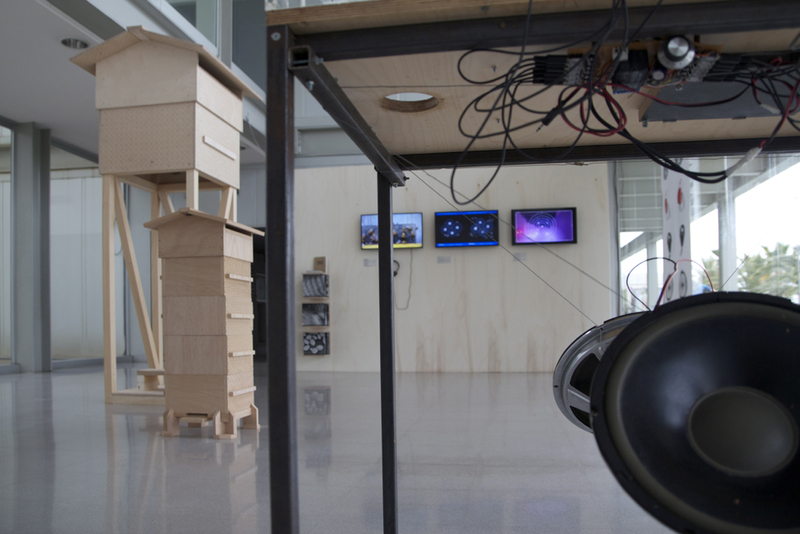 The exhibition Bee Monitoring Devices and Curious Observations is the starting point for the presentation on the research and artistic work of AnneMarie Maes and the Brussels Urban Bee Lab at the Institute of Evolutionary Biology in Barcelona. 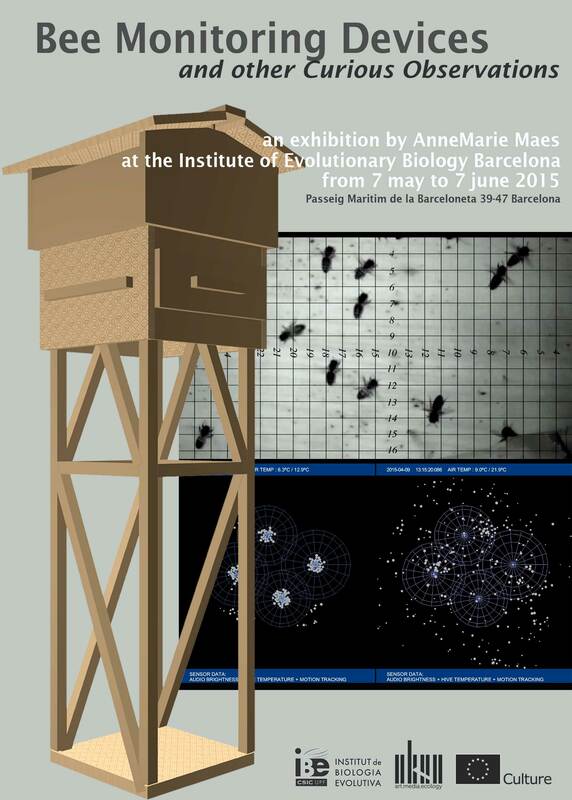 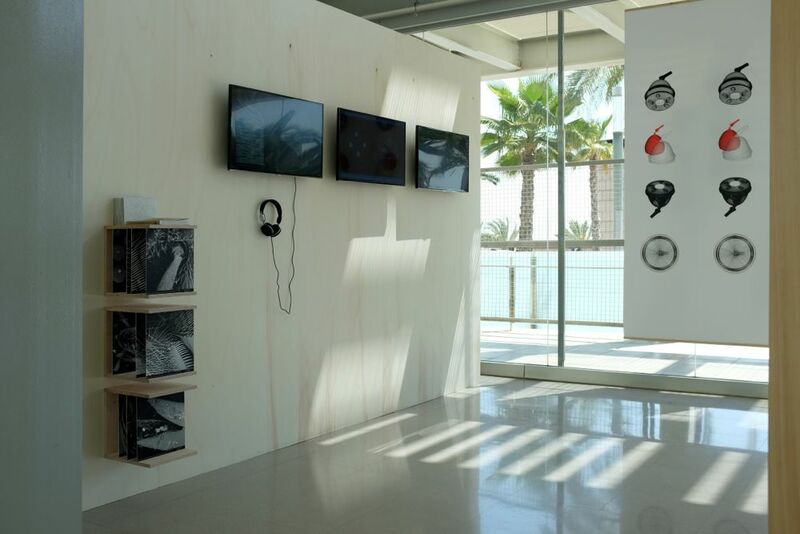 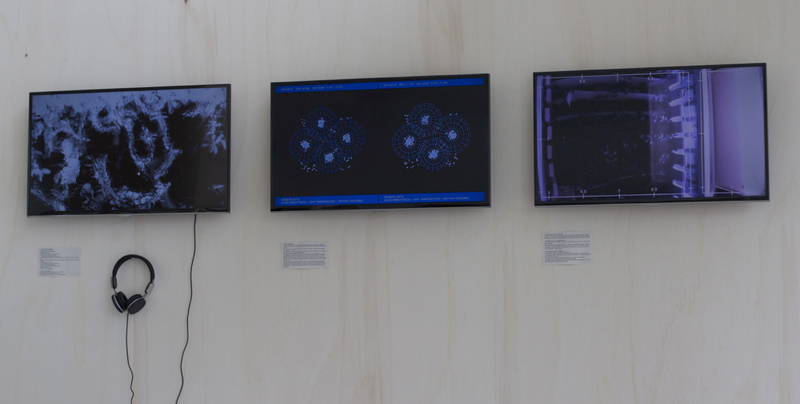 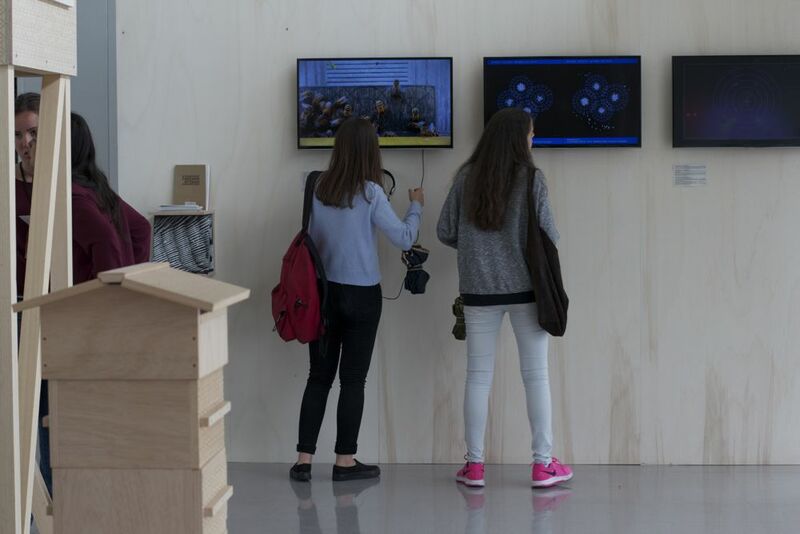 The work of AnneMarie Maes, media artist and beekeeper, is already since more than six years based on a rigorous research into bees. 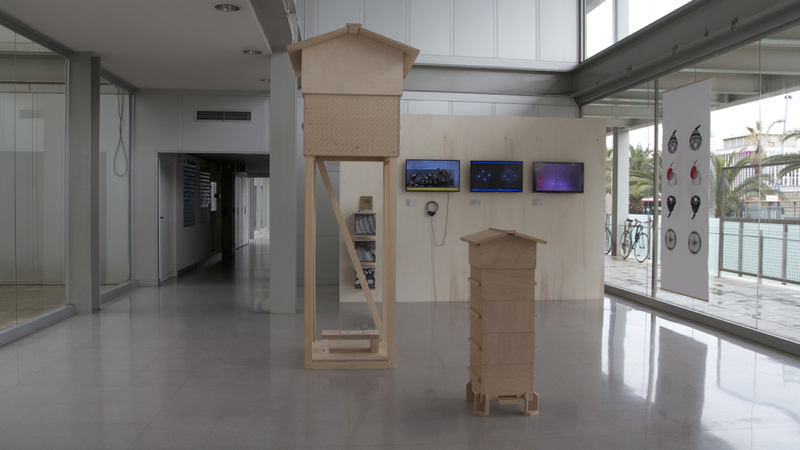 AnneMarie Maes set up the Brussels Urban Bee Lab in 2009 and this artistic laboratory installed several instrumented beehives on garden roofs in the centre of Brussels. 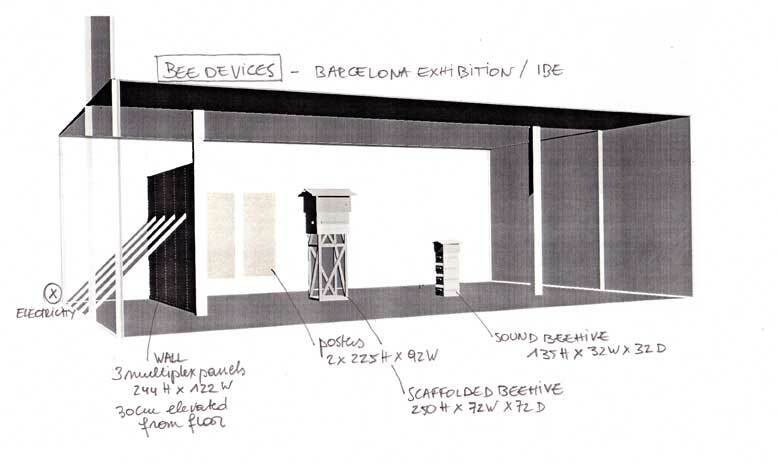 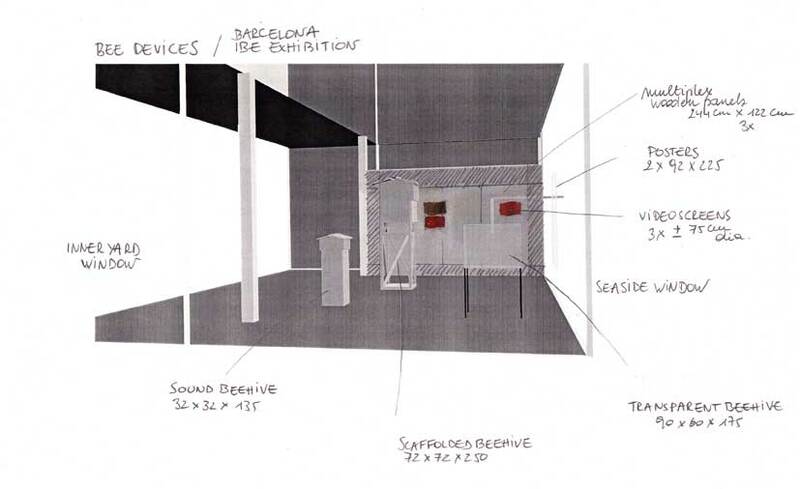 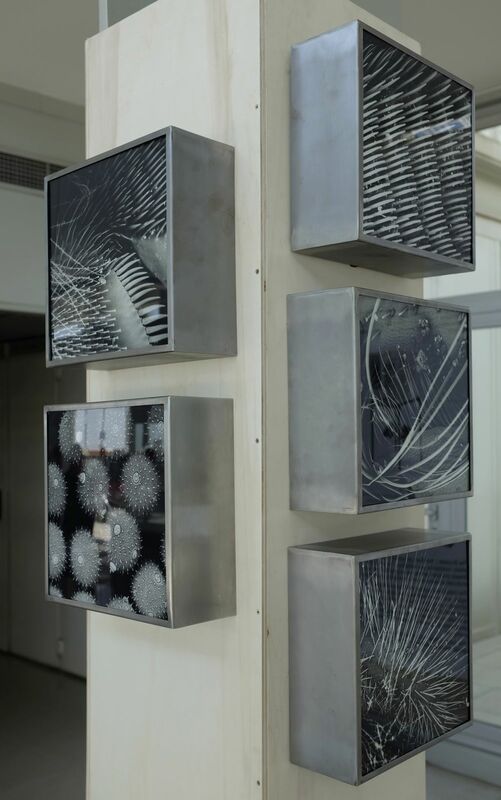 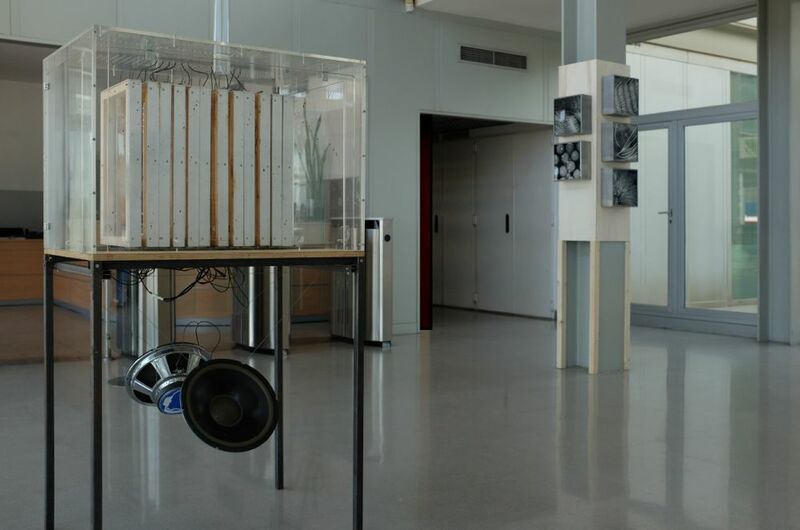 The artists and technicians of Brussels Urban Bee Lab designed sophisticated equipment to monitor and measure the bee colonies, process the data and disseminate these via streaming.